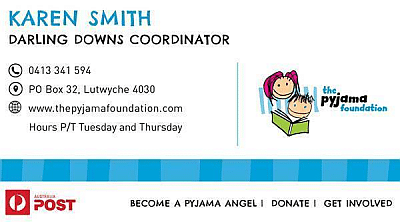 The Pyjama Foundation supports the dreams of kids living in foster care. Whether they want to grow up to be an astronaut or a doctor, The Pyjama Foundation is there to help them reach their potential – assisting them with their learning, and providing consistent love and support. With a little confidence and encouragement, who knows what these little people can achieve. On Friday 22 March, 2019 we are holding our annual fundraising event Battle of the Brains – trivia night. The Pyjama Foundation is a not for profit organisation and funds raised from events such as this go towards training volunteers called ‘Pyjama Angels’ who are then placed with a child that they visit weekly to help them with the reading, writing, maths, homework and play educational games with them. The work they do is invaluable. 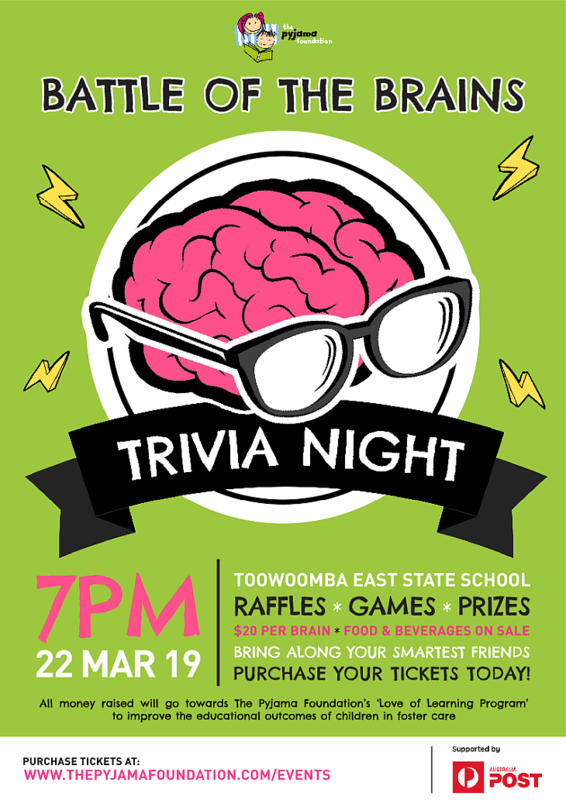 You can buy your tickets for the Battle of the Brains at Toowoomba East State School by going to our website at: https://thepyjamafoundation.com/trivianight/ or you may also just turn up on the night and purchase tickets then.